This is one post that I’m actually glad to be able to write. and I didn’t stroke out. Even though I’m still stuck in the bed, at least I’m not in the hospital anymore. It all started Thanksgiving Day while I was in the kitchen cooking something. I felt tired and my heart was racing. So, I stopped cooking and took a nap. I felt better after that so, I finished cooking my holiday meal. I took my vital signs. My blood pressure was elevated but nothing too bad. My pulse rate was another story though…it was high. I called it an early evening and went to bed to get some rest. 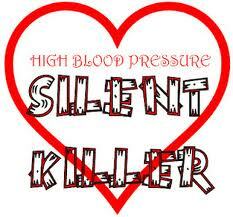 The next morning (Black Friday) when I took my vitals signs, my blood pressure and pulse rate was still elevated. I started to worry because I usually have a low BP and now, it’s been high for two days. And my heart rate had been elevated for two days as well. at noon, my blood pressure hit 188/101 with a pulse rate of 130! That bought me a trip to the emergency room. I was hooked up to a monitor so they could keep an eye on my heart ( wouldn’t want me to have a heart attack or stroke while waiting to see the doctor)ran an EKG and some labs. My head was foggy as hell though and my pressure and pulse remained high. diagnosed me with high blood pressure and gave me a prescription for some meds. It runs in the family and it seems to have caught up with me. because I have no intention of remaining on these meds.